The world is looking to innovation and technology as a platform for a better future. Where will the jobs of tomorrow come from? How will our children learn, shop, enjoy the environment, engage politically and give back? We’re entering an era where creativity will be integral to survival— a time where constant re-education and reinvention will be the key to remaining relevant. Our children will have to breathe disruption, be open to all possibilities and be the constant entrepreneur. What this future will look like is the purpose of this podcast. 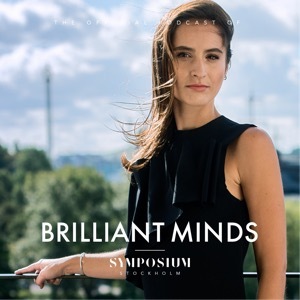 Brilliant Minds, a 2-day ideas festival, is the physical manifestation of this podcast. Created in 2015 by Ash Pournouri, Founder of At Night Management, and Spotify’s founder Daniel Ek, Symposium Stockholm provides a week-long festival for creative individuals with powerful ideas to come together and experience a creative home, at the intersection of tech, music, fashion and innovation.